Submitted by lynn on Monday, November 14, 2016 - 10:44pm. 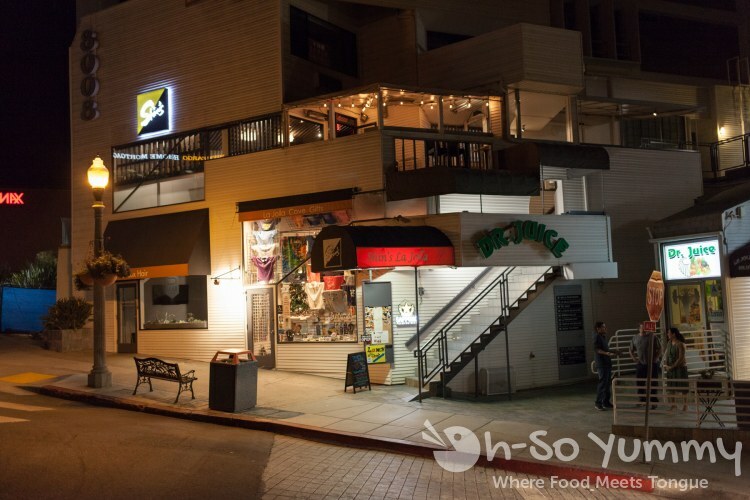 The restaurant was on the second story so it wasn't as easy to spot from outside. They do have a menu at the bottom of the stairs so that you can preview the menu before taking the stairs up to the restaurant. My favorite sight inside the restaurant. 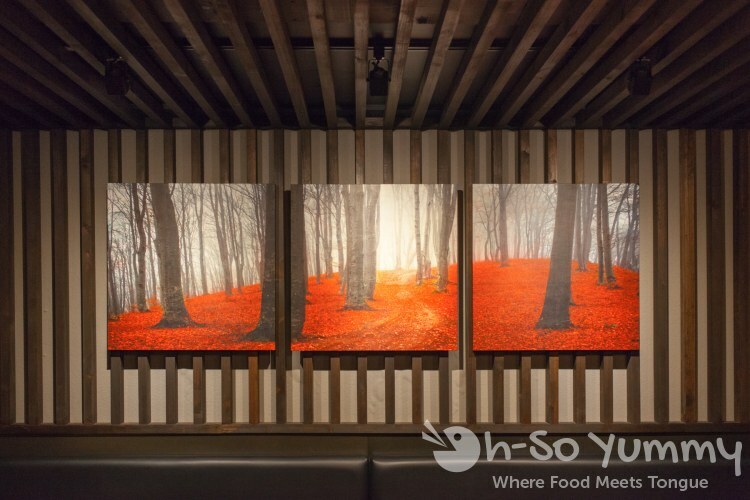 Tree art surrounded by a gorgeous orange-red hue. Wooden beams completed the "forest" look on this wall. The restaurant had a very simple modern aesthetic look, with easy on the ears jazz music playing in the background. This seemed the perfect ambiance for the lighter fare we enjoyed this evening. 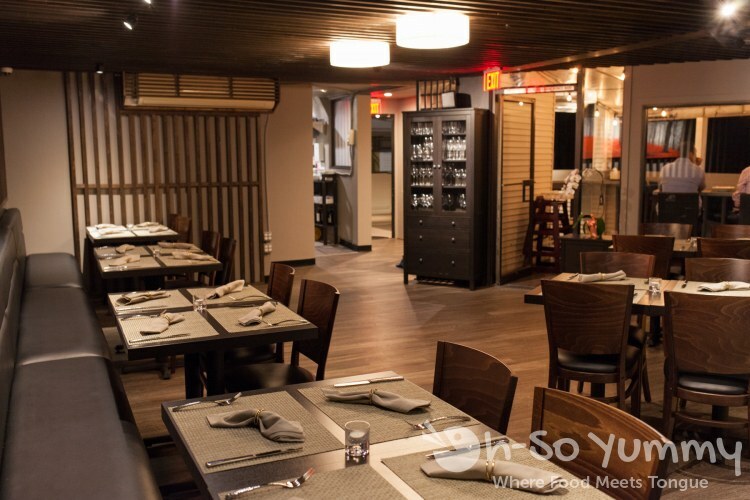 The restaurant wasn't too big but it was spacious for the existing guests. We were seated in the corner area so this was our view of the entire restaurant. There's a small outdoor patio on the far right side. The menu was one page and consisted of a few main sections: appetizer, pasta, and entrees. 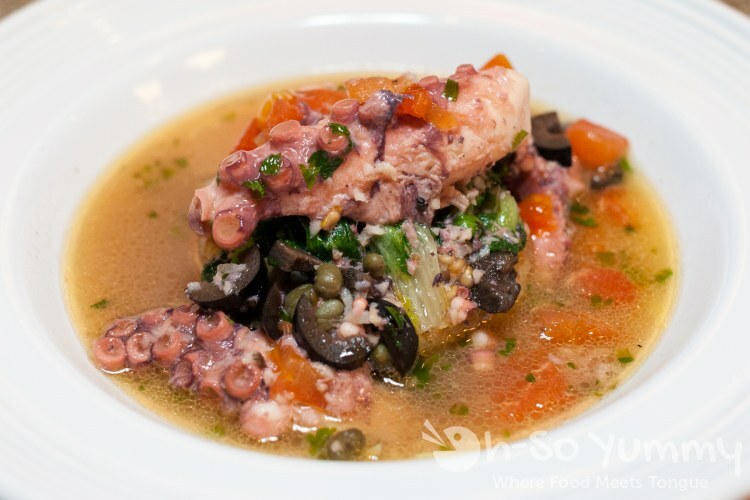 The first item we tried was the soft boiled octopus, one of the recommended items on the menu. This was different than our standard grilled versions but we had no doubts after one bite! The texture breaks apart in your mouth, soft and tender but not mushy. The lighter soup broth was a lake of yumminess and the fresh flavor made Dennis think it had a touch of lemon zest in there. If there were more broth he would have chugged it. Underneath was slightly crispy rice (like stone pot rice but not sticky) that magically soaked up all the wonderful broth flavor. We both loved the array of other ingredients although Dennis would have preferred less olives. I didn't mind though since they weren't overly salty. Winner. 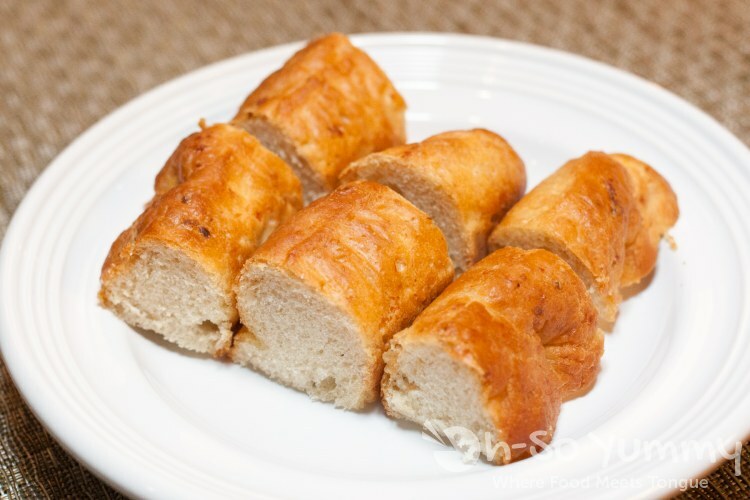 We were also served some appetizer bread that was a bit crunchier in texture but nothing too out of the ordinary. The portions of this pasta were worthy of a hearty appetite. The noodles were al dente with a nice chew to them and stayed hot and steamy throughout the entree. 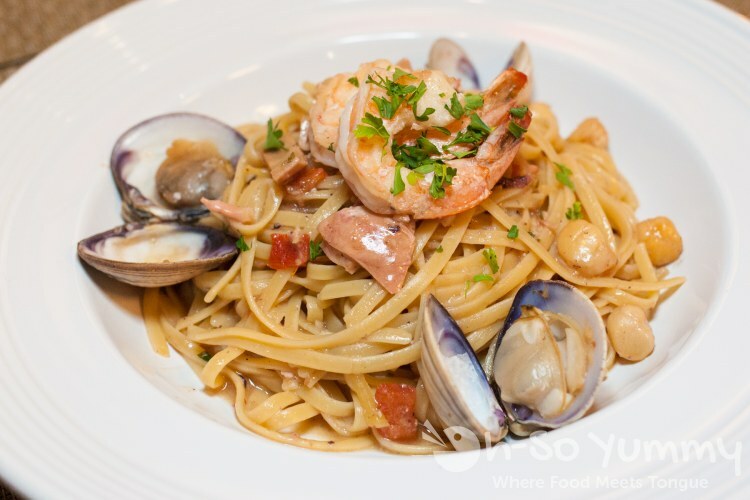 There's a very light seafood type flavor without overpowering your senses. The sauce was minimal where you don't splash around while slurping! Dennis was impressed that the noodles seemed to soak in the flavor as well, perhaps simmered in the sauce? As for the seafood, the clams were a little bit on the salty side and the tiny scallops were cooked closer to well done. The best part remained the octopus, which, despite taking on a different setting from the appetizer, was just as delightfully soft and tasty as before! 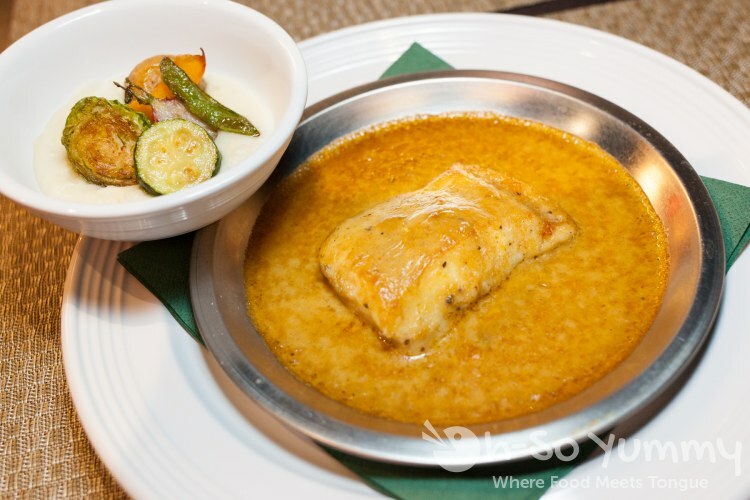 Halibut Meuniere ($16.50) - Fluffy broiled halibut with curry flavored cream sauce. Comes with mashed potato and roasted vegetables. A curry fish? Let's try it! The flesh was lighter and flakier amid a thicker curry sauce. There was no fishy taste to this dish. We also enjoyed the variety of sides, all within view upon receival. The veggies were single serve and we were able to enjoy each richly roasted piece. Only after we had finished the sides did Dennis think of dipping the mashed potatoes in the curry sauce! There was way more curry sauce than one fish filet could handle! It slipped our minds because the sides were presented separately! The most special dish of the night. Fancy beef. And it was gooooood. 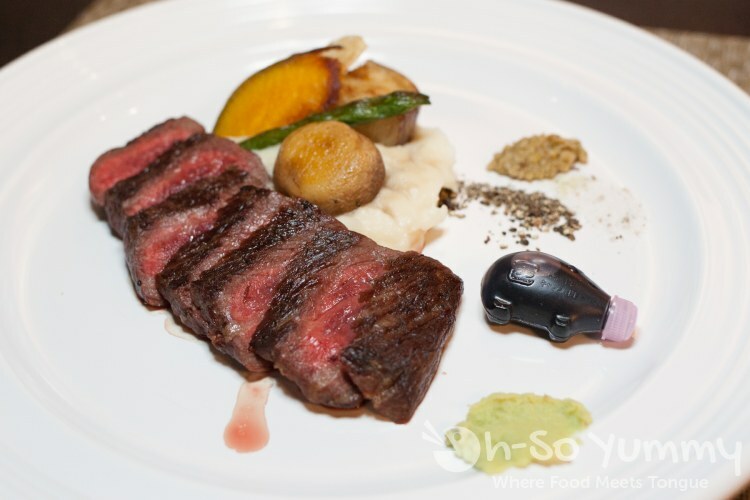 This meat is from a cross breed of American and Japanese cows and came out cooked medium rare (as recommended). What we really admired was the outer crust with a perfect sear and how the flavors melded into the crust. There was also a few different sauces and seasonings to mix and match as you pleased. There was the basic salt and pepper as the familiar option. Then there was the mini pig filled with dark liquid. We were told this was tamari soy sauce, aged for three years, which gave it a concentrated flavor without being as salty as soy sauce. My first taste! 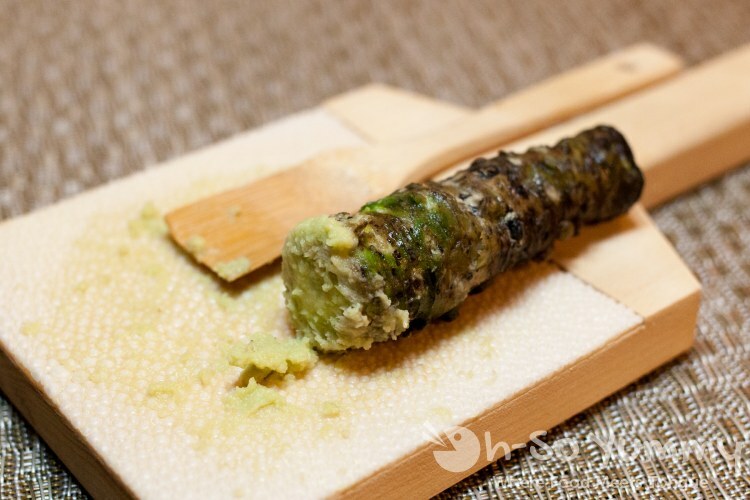 Last but not least was... fresh wasabi. 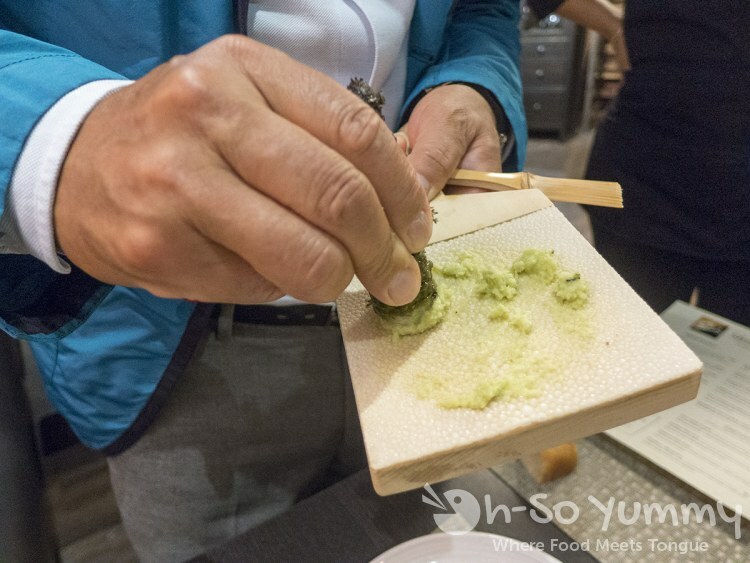 This was the first time we've seen a wasabi board and scraper! This stuff was amazing because it has that familiar taste but without that crazy burn in your nose from the mainstream powdered versions carried elsewhere. With the specialty aged soy sauce and fresh wasabi, this beef was, do I dare say, beefed up beautifully! And the owner's blue sport jacket was snazzy. I loved it. There were no desserts at the time of our dinner but it is in the works. The chef of the restaurant is Japanese but trained for 3 years in Italy outside of his normal training in Japan. He is actually focusing on Italian style here with some Japanese influence. Other menu items are still being tested but they've kept the menu strickly to the favorite dishes without going to extremes on the fusion portion. I think this little spot has so much potential and more people need to discover it. Make the trek up the stairs because that octopus is waiting for you. Or perhaps some pasta. Or oregon beef. Or the freshest wasabi ever. Side note: This building does not have handicap access. There is an elevator (go two stores to the right and down the hallway) but there are still several steps required to reach the restaurant.